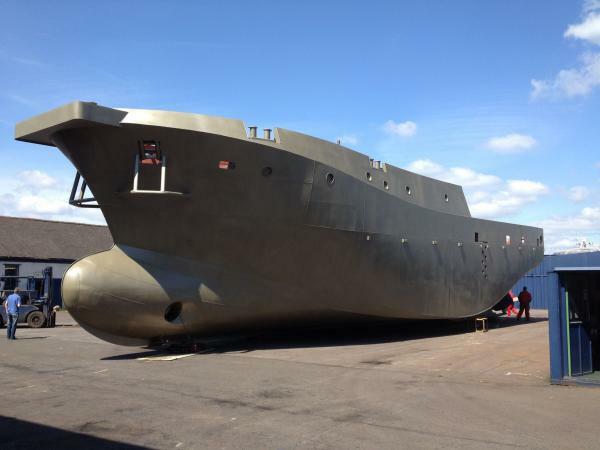 The last 4 years has seen a piece of steel plate, progress into a a very fine vessel, and to see it all built on the banks of the River Tees gives us something to be very proud of, the craftsmanship throughout the vessel is outstanding. 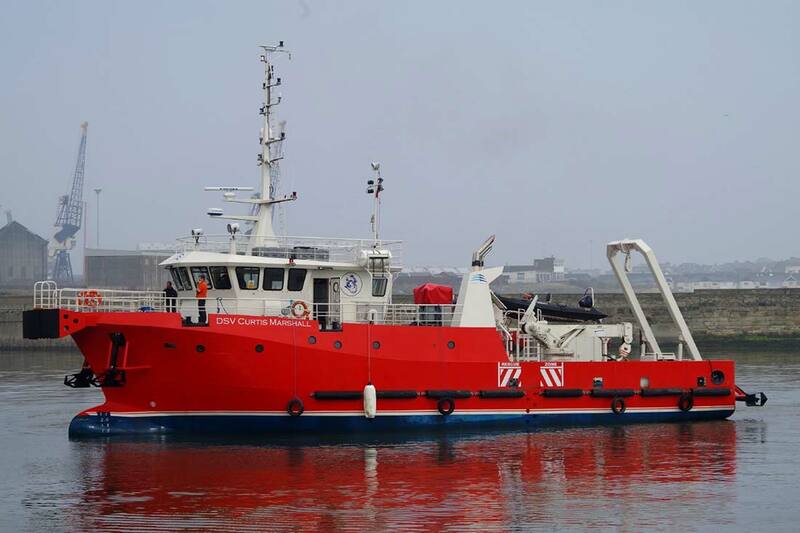 The DSV CurtisMarshall has been constructed and launched on the slipway at www.bmarshallmarine.co.uk, this has created quite a lot of noise with the local and national media, due to the vessel being the first of its kind being built from concept to completion, and certainly first in around 20 years to be launched on the Tees, which has a great heritage and history around the ship building history. 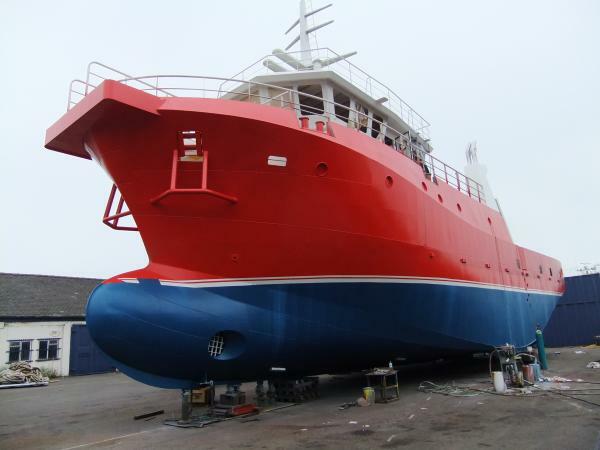 After taking to the water and sailing on a very smooth journey she currently lies moored at a marina where she is undergoing final tests from marine surveyors, with sea trials expected to be complete early April 2015. 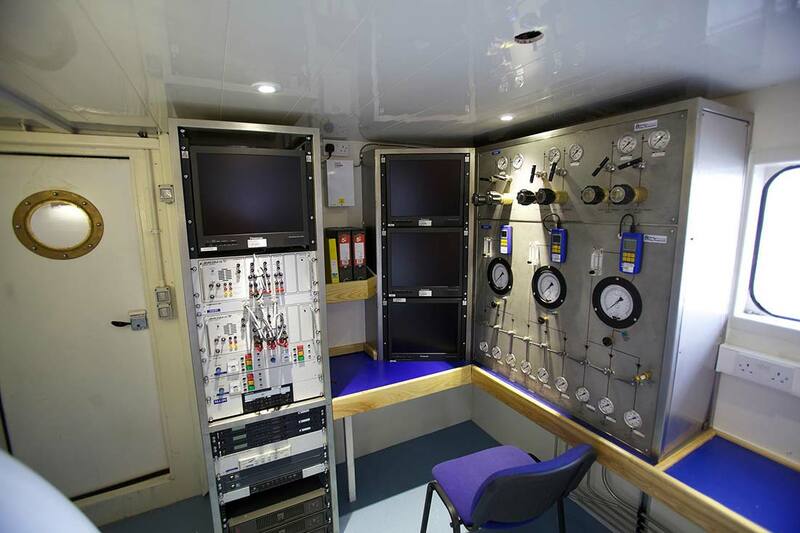 The integrated dive support systems on board the vessel have been checked and certified with planned maintenance systems in place. For more information, specification or charter enquiries please visit www.bmarshallmarine.co.uk, or contact us via the contact link on this website. 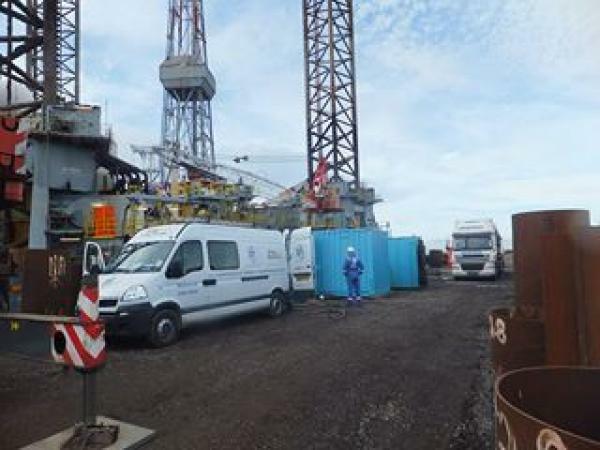 Sub Aqua Diving Services (UK) Ltd is supported by a workforce, equipped to provide turnkey solutions for offshore and inland diving engineering projects. At the core of all SADS activities is a top level commitment to Health, Safety and Quality Management. That is the reason DGA Safety Consultancy & Training Limited were delighted to guide and support SADS through their recent accreditation to OHSAS 18001 and also in improving their existing Quality Management Policy and procedures. We will continue to provide annual support to the buisness via ongoing reviews, internal auditing, workplace inspections and training of SADS personnel to ensure that both Health, Safety and Quality standards are monitored and continuosly improved. The partnership is in place to effectively manage the evolving challenges provided by the Inland Civils, Global Renewables and Oil and Gas environments. 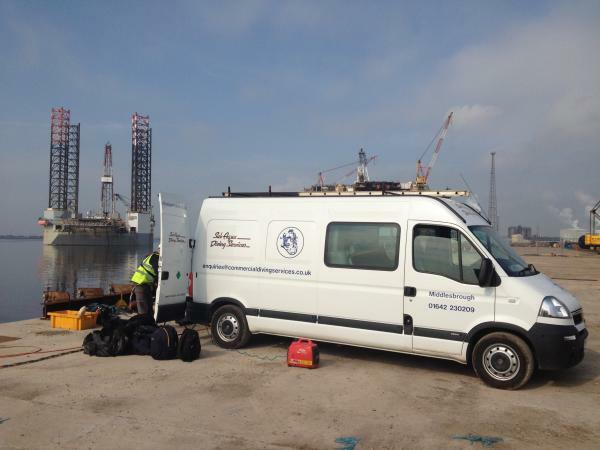 Sub Aqua Diving Services (UK) Ltd operates an Occupational Health and Safety Management System wich complies with the standard. Things are coming on nice as you can see in these new pictures. 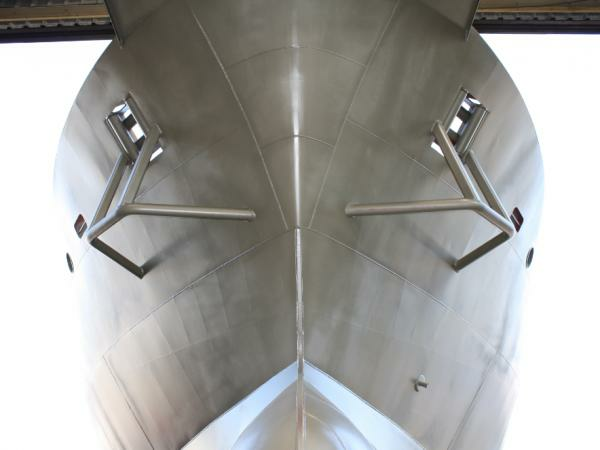 Its been a very time consuming stage with the painting of the vessel, not helped by the intricate water line strip we have added, but its been well worth the effort to see it finished. We now have a crane, which is being planned out ready for the installation. Keep posted for more pictures when we have it in position. 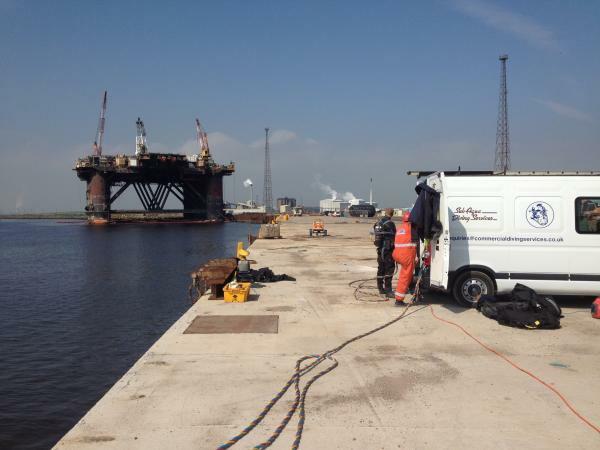 We have just successfully completed an inwater NDT inspection of 3 spud can legs on a large jack up rig. 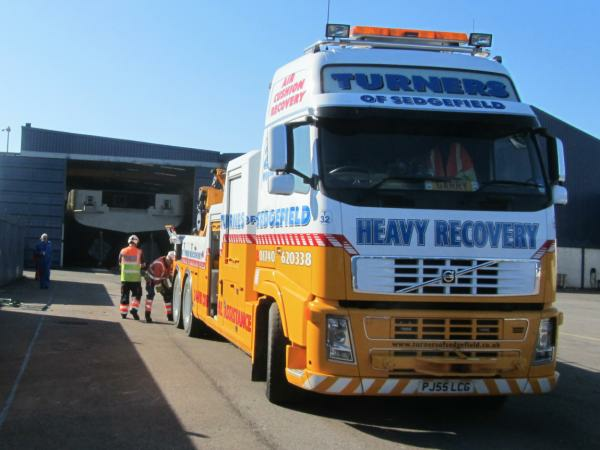 The project was challenging due to the access limitations but with good planning by management and the experience of our 8 personnel allocated to the project we were able to carry out the works safely and complete the project on time. 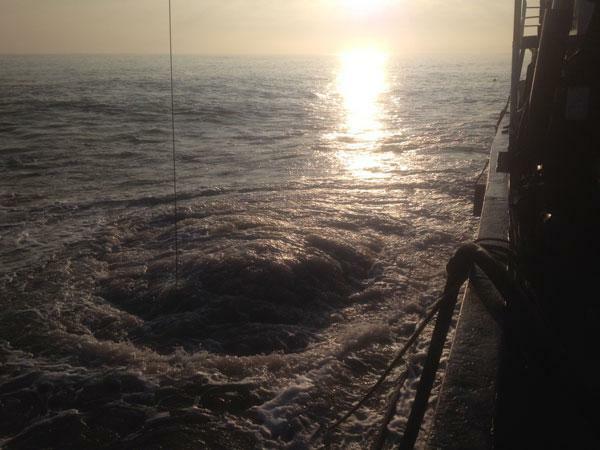 We are currently carrying out some airlifting operations off the east coast. 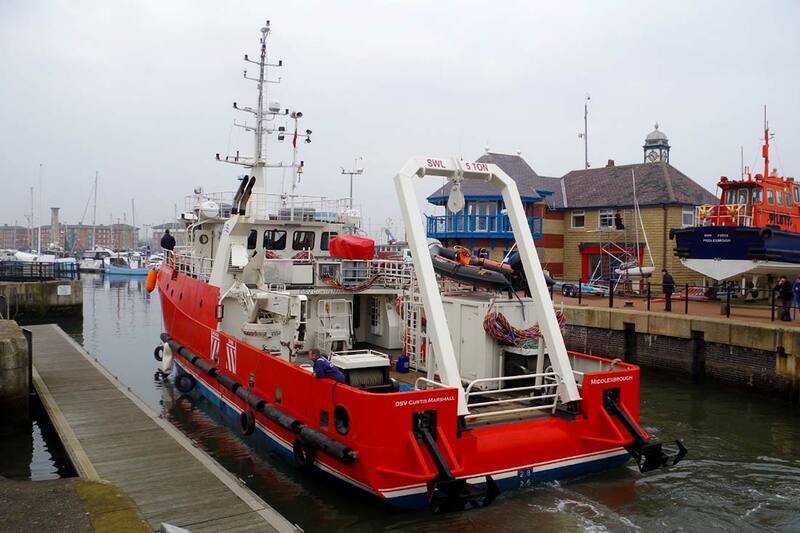 With 7 personnel working on board the "Yorkshire Lady" dive support vessel we aim to reduce the built up sea bed around 2 offshore outfalls. The use of a large 12 inch airlft is utilised to loosen and remove large areas of the deposited material that builds up around these locations. 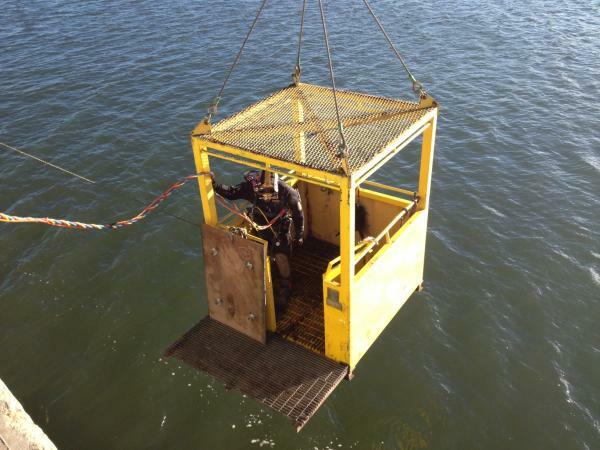 Intermitent dives are carried out to monitor the progress of airlifting operations by taking depth readings away from the outfalls. 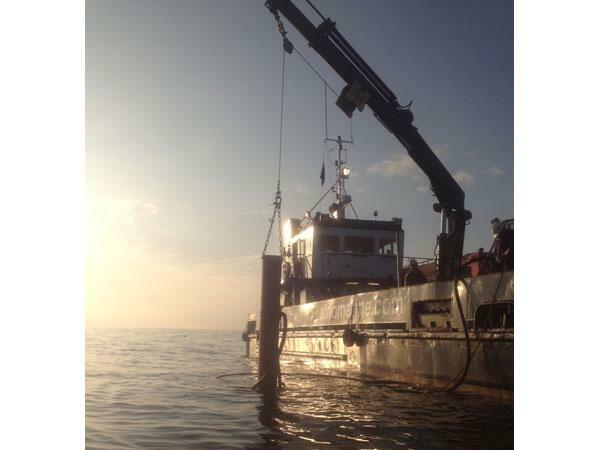 A small 6 inch diver operated airlift is also used to clear the area in close proximation to the outfalls. We also carry out inspection of 2 intakes on the same site to give our client a condition report of the structures for their peace of mind. 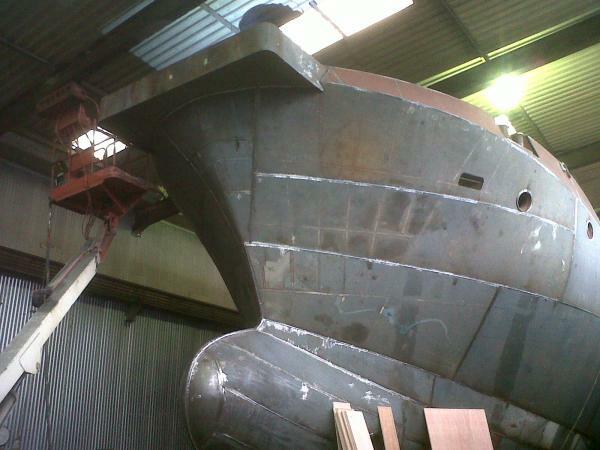 Well what a couple of weeks its been, the steps have been huge with the progress we have made on the build of our vessel. 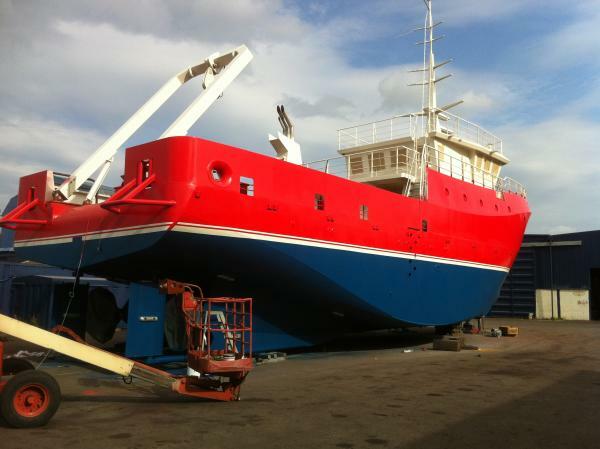 The vessel had to be shot blasted inside the shed with 2 coats of paint applied to ready her for the big move outside. Due to the height restrictions of the fabrication shed the wheelhouse, mast, funnel, handrails and A frame could not be positioned. 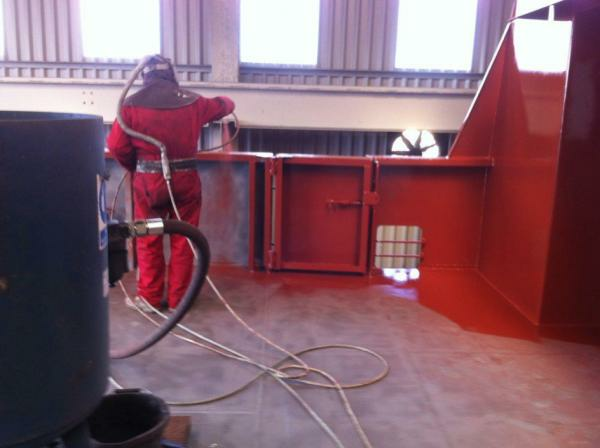 They were all fabricated, shotblasted and painted ready to be positioned once the vessel was moved. After a lot of extensive planning and the improvement of the weather the time was right for us to move her from the shed into the yard were we could start fitting the pieces together. The position of the vessel is now in line with the slipway at bmarshallmarine yard ready for what will be the launch when she is completed. The wheelhouse has now been positioned, the funnel is now in place and the fitting out inside is still making good progress. 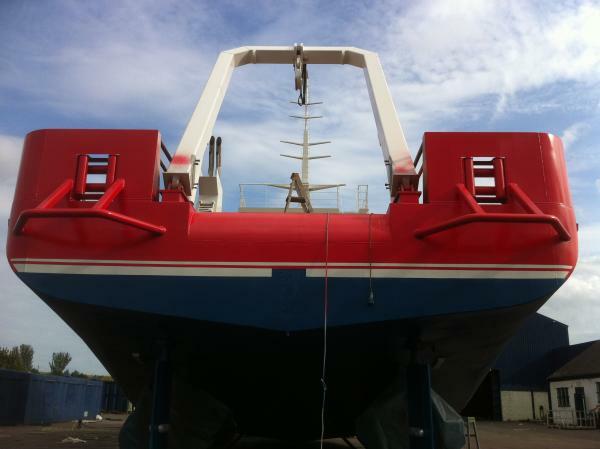 We still aim to have the vessel ready in the water by the close of 2013 if not a little sooner. The finishing colour scheme is still undecided yet although we have narrowed it down to a couple of options so you will have to keep posted for the announcement on our decision. We have just received our first annual assessment from BSI. Our new integrated management system has been running for 12 months and we are happy to announce that BSI reported there was no non conformancies found within the system and they are very satisfied with the continual improvements we have made over the past 12 months. The assesment identified that a significant amount of work has been carried out by our management team in order to develop the system. The quality management is currently going through a phase of development in order to make it more user friendly and relevant to our buisness. Significant progress is being made in this area, particularly in respect to developing procedures and policies. 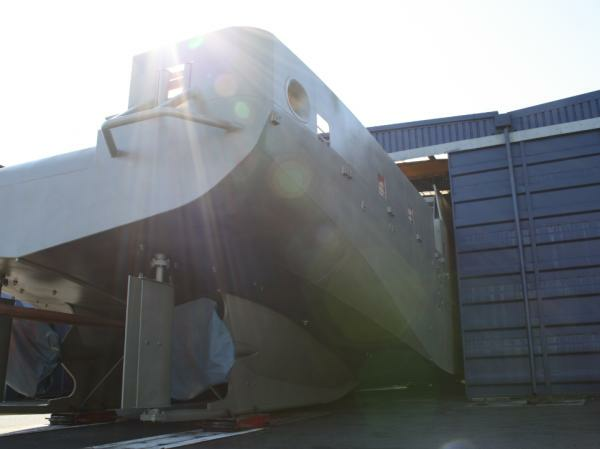 We are currently making good progress with our new DSV. 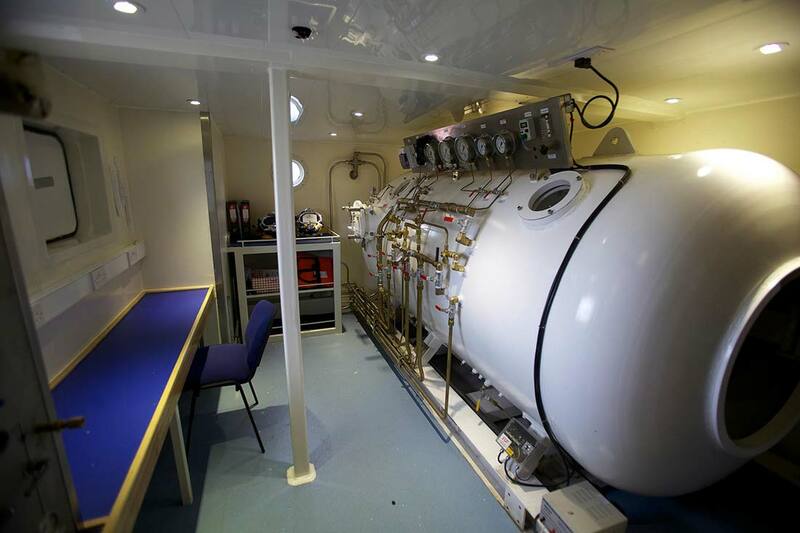 The new state of the art dive control station is heading towards completion with the chamber positioned and the panel approaching the later stages of installation. The wheel house is fabricated and ready to be positioned, the mast is also ready to be installed on top, which is scheduled for around April when the DSV is moved outside from the workshop to be painted in the yard. All accommodation quaters are currently being wired up for lighting so will then be ready for boarding cielings and adding finished coat of paint. 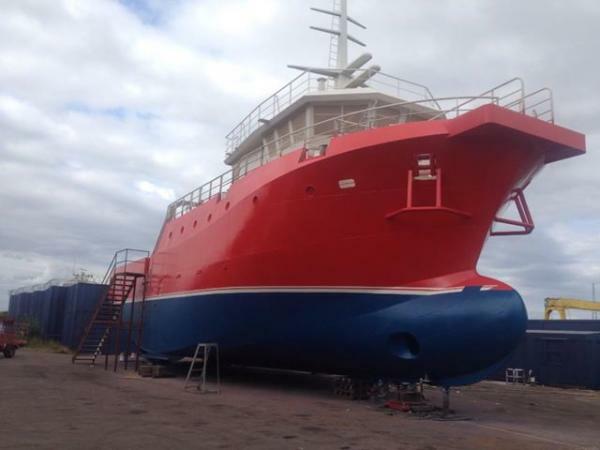 There is still a lot of time and effort to be put into the project but with the expertise of our sister company Bmarshall marine we are very happy with the progress and the excellent standard to which she is being constructed. 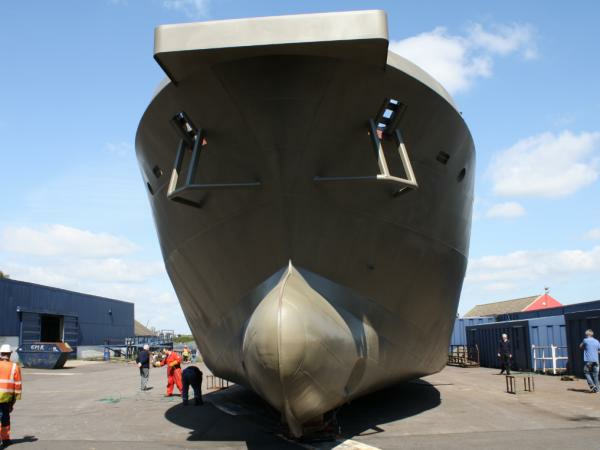 The naming of the vessel is being shortlisted and will be unveiled on here when we are decided. 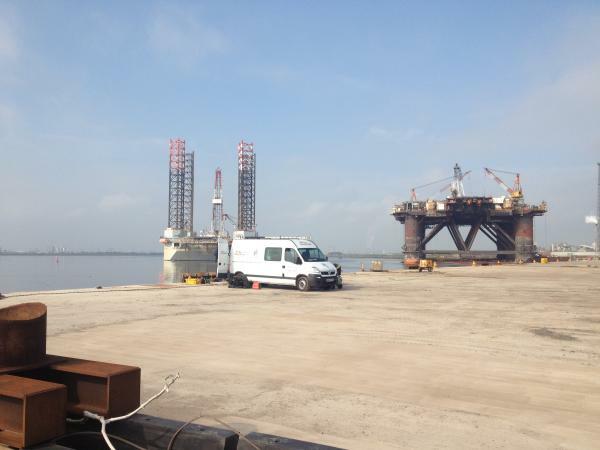 Keep posted on our DSV update page for photographs. We are currently updating our personnel matrix for 2013 projects for both inshore civils and renewables projects. 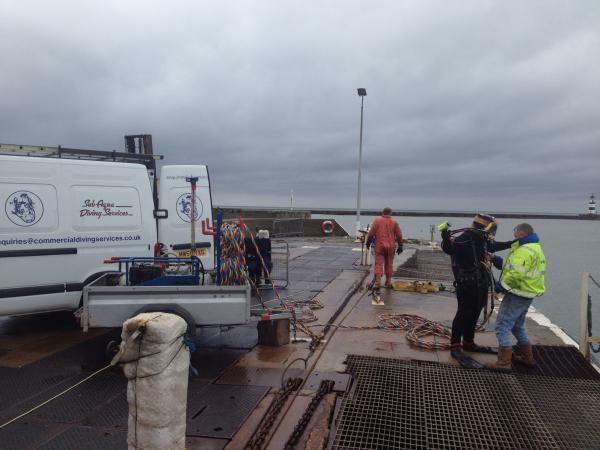 SADS have recently carried out a maintenance programme on a recently installed Quay front. The client reported substantial wash from behind the quay wall dispersing into the river. 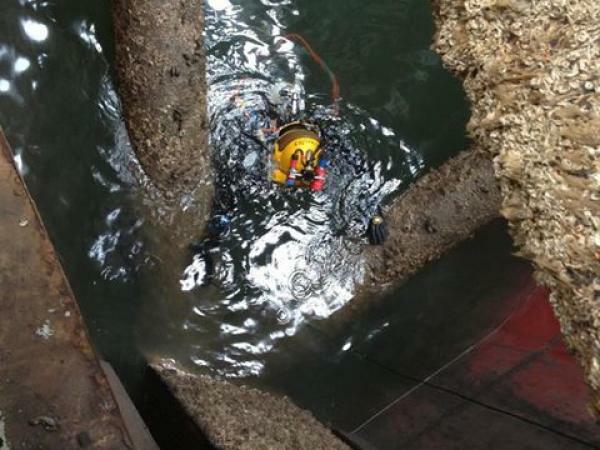 After an extensive survey of the quay wall, which was a tubular pile and sheet pile construction, SADS inspection reports confirmed to the client the problem to the client. In some areas the the steel larson sheet pile had not been installed correctly resulting in large gaps between the mudline and the bottom of the sheet pile. Using the information from the inspection SADS divers then took accurate measurements of each location. These measurements where then used to manufacture steel plates with a locking mechanism, which was designed to fix in behind the clutches on the tubular piles. SADS divers had the task of securing these shuttering plates into position. This process was not an easy task due to the restrictions in movement of the plates. 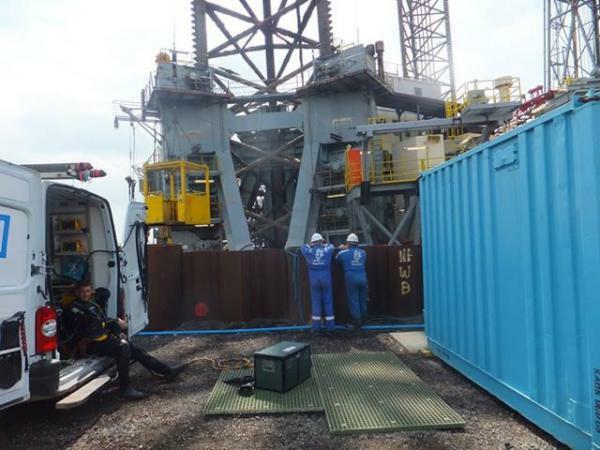 SADS experienced divers had to use their extensive sub-sea rigging skills and techniques, with the use of pull lifts, chain blocks, shackles and lifting strops to ensure the positioning of the heavy shuttering plates was succesfull. The use of a divers hand held air lift was also used to clear away mud, silt and clay. All of this was performed in black water. The full programme was carried out in the usual safe and efficient manner in which Sub Aqua Diving Services (UK) Ltd carry out every task.